Every time I pass by the J.CO branch in SM City Cebu, there’s always a queue of people buying those donuts. I queued for almost 30 minutes for these. Out of curiosity (and my girlfriend’s request), I lined-up and bought a dozen of J.CO donuts for ₱350. Only those who are ordering take-out are required to fall in line. I brought the box to my girlfriend’s boarding house and we ate the donuts. It immediately became clear why people line-up for these. 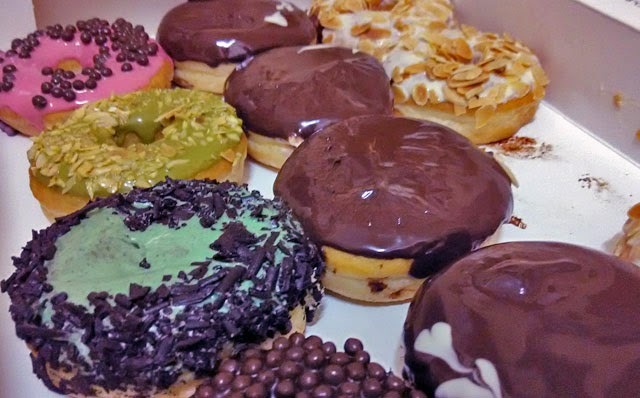 J.CO donuts are so soft and with generous fillings and/or toppings. My top pick of flavor is of course the Alcapone while my girlfriend automatically owns every flavor with chocolate. 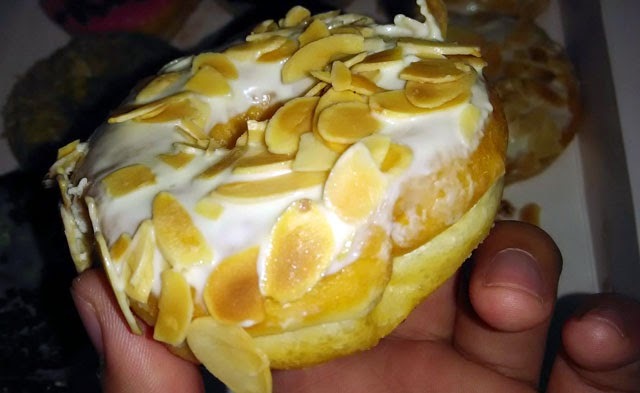 Alcapone - J.CO's best seller! After about three J.CO donuts each, we already felt full and the next bite seems like a chore. In the end, 4 and a half donuts were left for the morning. Buying that 1 dozen box was a mistake, I should have chosen the half dozen option which costs ₱230. You can’t blame me for grabbing that ₱110 of savings! You will even save more if you order two dozens for ₱550 only. My second purchase of J.CO donuts was still a dozen but this time, it’s for my family with eight members plus my visiting grandmother. Only the box was left.